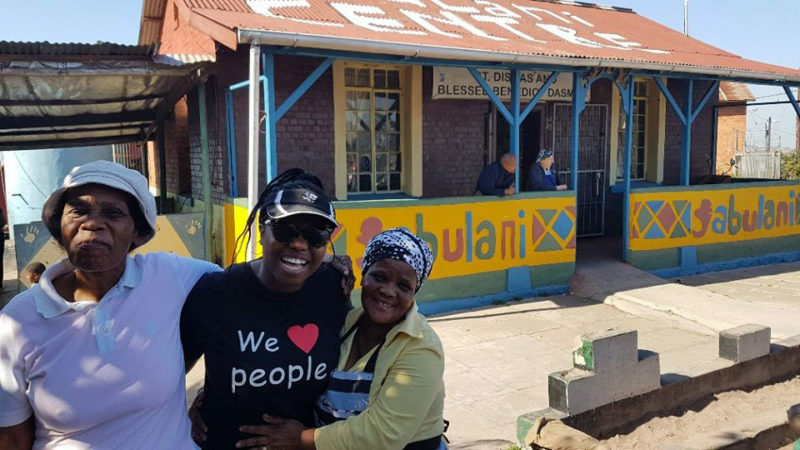 What a FANTASTIC high energy, good vibes, joyful day of community spirit spent with our 4th #MahalaMarket2018 at Jabulani Self-help centre today with the most incredible team of volunteers and humble, happy and grateful Gogo’s and Mkulus! Our vision behind this ‘Market’ is to allow the Gogo’s in the community to shop for free and fill their Robin Hood bags with their choice of outfits, linen and other accessories for themselves as well as take home a small hamper of groceries for their families. They get by on so little with their state pensions and in 9 out of 10 cases, they also have grandchildren in their care due. Such an exciting day for well over 150 Gogo’s and Mkulu’s today as they got to choose clothes, linen, shoes, accessories for themselves, a little treat that they so deserve but cannot afford. Hereby treating the Gogo’s to a dignified ‘day out’ and free shopping experience. Our most grateful thanks to Khwezi Training & Consulting for your generous support in getting on board and sponsoring all the tea, coffee and delicious snacks that our volunteer team will serve these 100 Gogo’s and Mkulu’s on arrival. And to each and every person that has donated to this campaign!